Making Life Easy | DJ School Lebanon - Being Pro Is What You Need ! Life in the DJ box is about to get a whole lot easier with Pioneer’s new CDJ-2000. 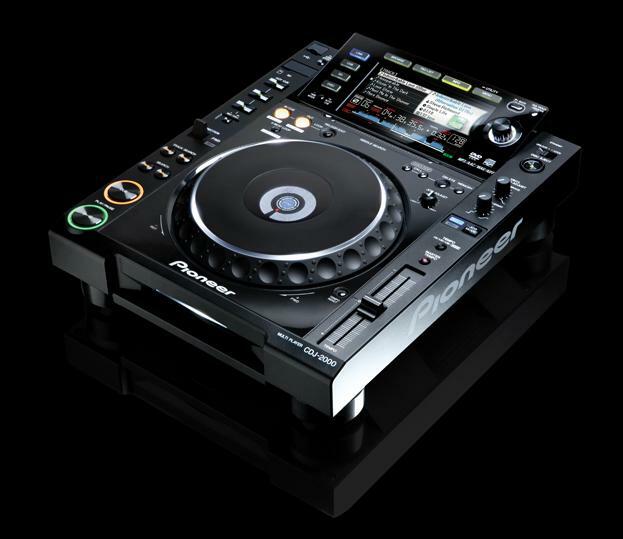 For this spanking new CD player is also compatible with all the main pro digital DJing software. Which will make setting up nice and easy. The CDJ-2000 is more than just an update of the industry standard CDJ-1000. It can play music from multiple sources, including CD, DVD, USB storage devices and SD memory cards. It can also be used as a controller and soundcard for Native Instruments’ Traktor and Rane’s Serato digital DJing software — so no need for external soundcards or control vinyl. The CDJ-2000 also boasts Pioneer’s new music database management software, Rekordbox. This allows DJs to prepare their music and sets pre-gig by setting up loop points and quantising tracks. At first glance, the CDJ-2000 looks similar to its predecessor, the CDJ-1000. However, there are a few big differences, like a full colour LCD view screen, where track artwork can be displayed for visual reference. But the big welcome surprise is its touch-sensitive waveform Needle Search/Needle Drop ribbon. This lets DJs audition tracks by simply running their finger up and down the ribbon (just like picking up and placing the needle on vinyl), complemented by a visual representation of the waveform in the view screen. This feature has been a long time coming, but it’s been worth the wait as this function rocks! Unfortunately, the touch-sensitive waveform Needle Search/Needle Drop ribbon is not available on the CDJ-900 version, the little brother of the CDJ-2000. But the CDJ-900 is also a very capable beast with a few exclusive features of its own, including auto beat loop, a quick return scratch feature and a slip mode that enables DJs to perform tricks normally associated only with vinyl DJs. Both have a highly evolved illuminated jog-wheel, easy track selection and overall enhanced design, making them the new must-haves from Pioneer.